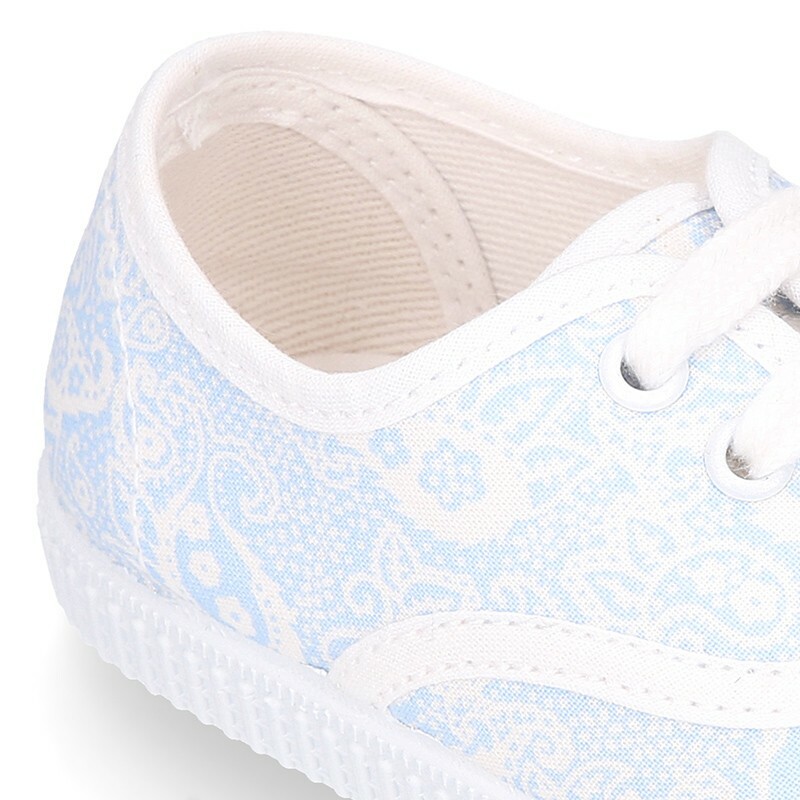 Tienda de Zapatillas o Bambas de Lona con cordones con estampado de cachemir. 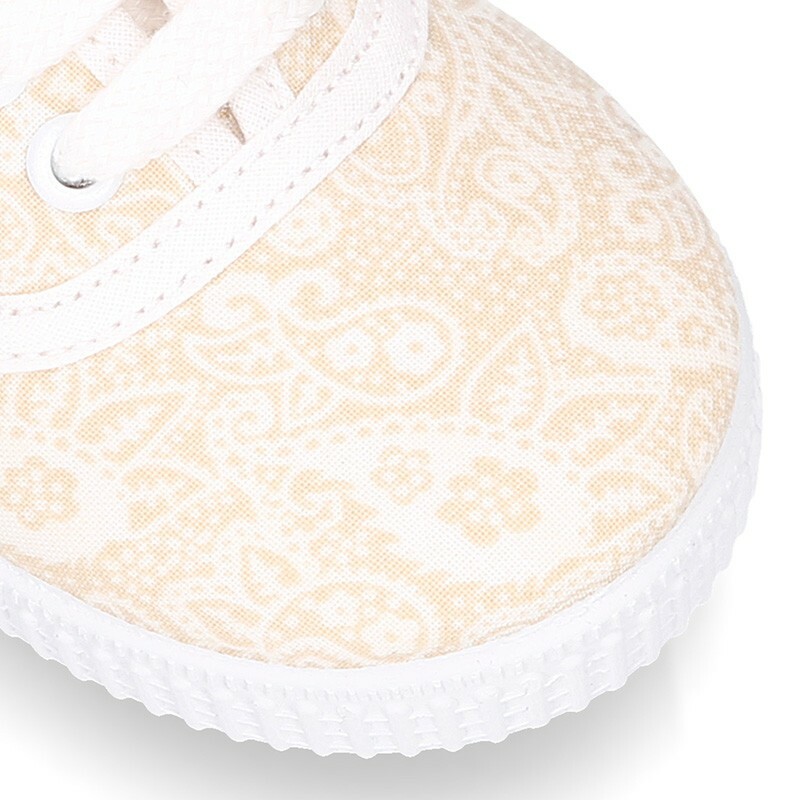 > First Steps>Sneakers>Cotton canvas bamba type shoes with CACHEMIR design. Cotton canvas bamba type shoes with CACHEMIR design. 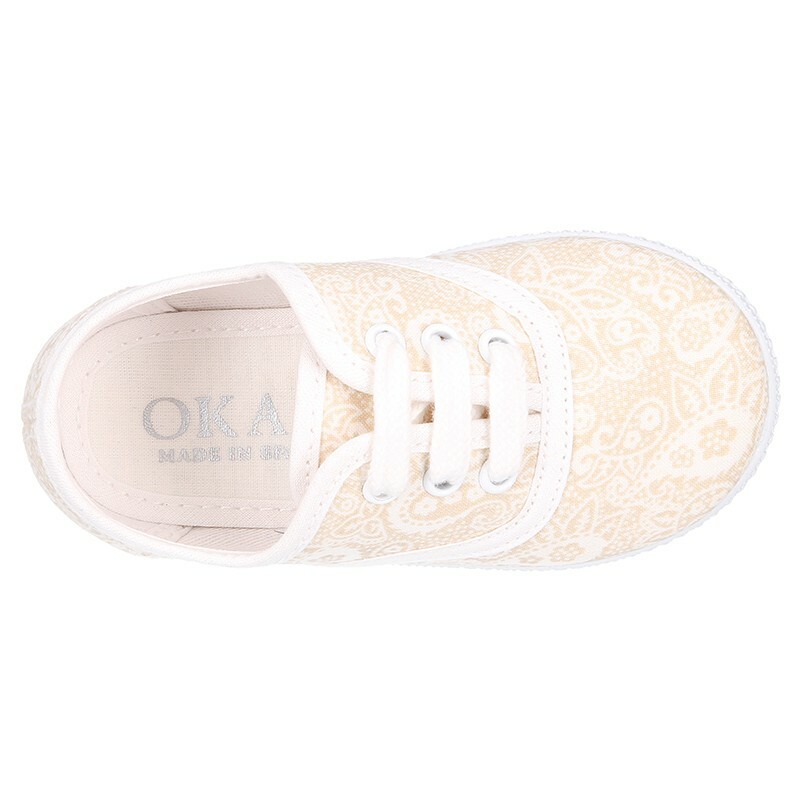 Cotton Canvas sneaker or bamba type shoes with ties closure and CACHEMIR print design for boys, girls and mums too. SIZES: 17-41. More info about Cotton canvas bamba type shoes with CACHEMIR design. 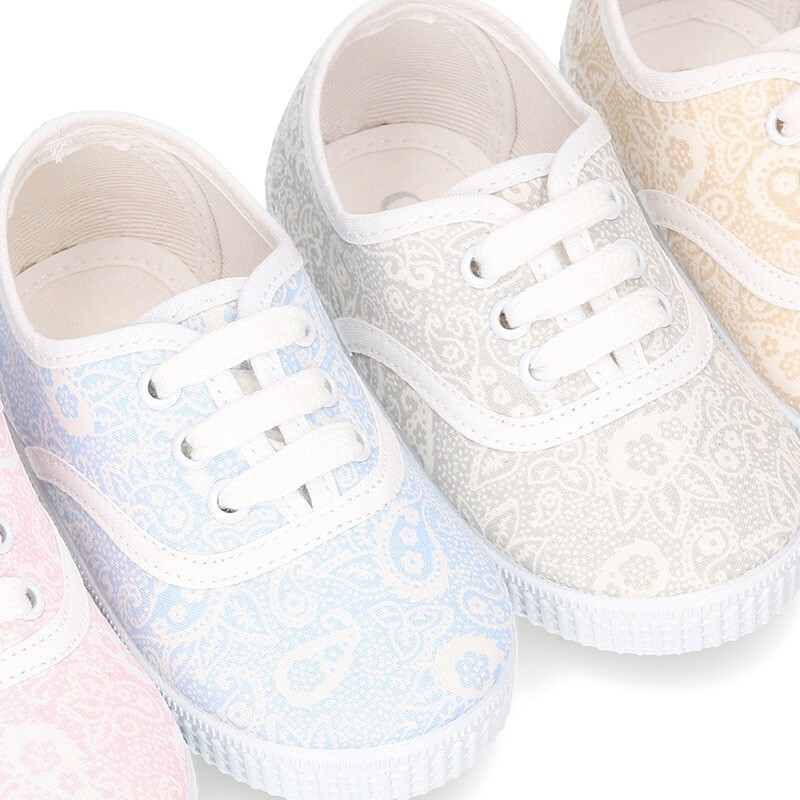 Cotton canvas Sneaker or Bamba type shoe with laces closure and cachemir print design for boys, girls and mums too. Made up of 100% high quality natural cotton canvas. Fits with every garment this spring summer. Is a basic shoe for this season. Fully lined, edged and padded canvas footbed. Outsole made up of non-slip high quality rubber, and totally flexible. Available in 4 colors. Range of sizes: form 17 Euro size up to 41 Euro size. SIZING REGULAR. 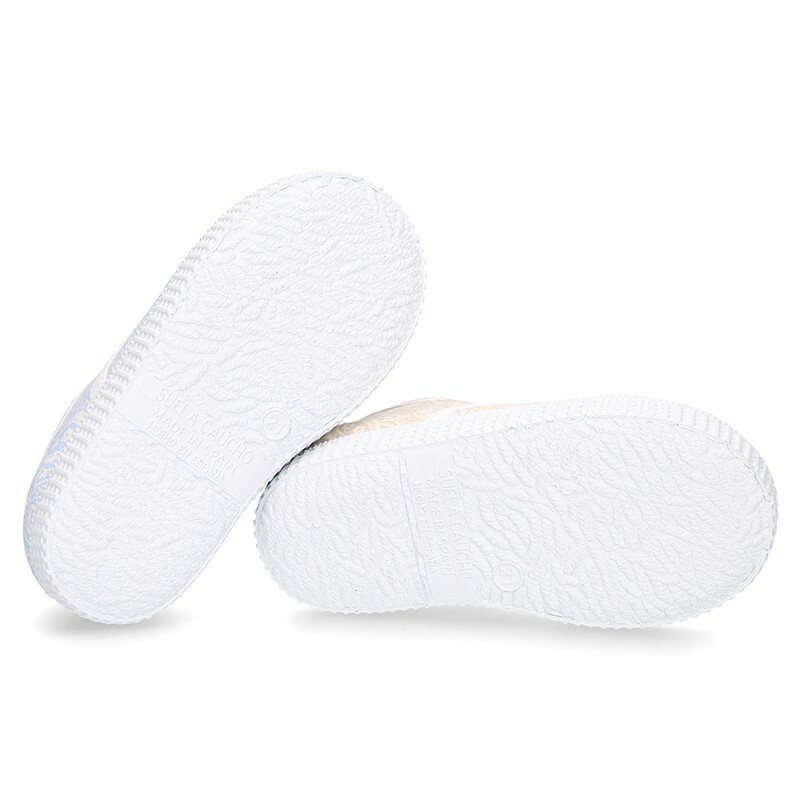 We recommend to choose a lower size to regular one in case kids have thin feet. 100% washable. They can shrink. Data sheet about Cotton canvas bamba type shoes with CACHEMIR design. Las hemos usado mucho. Lavar y poner. Muy buen resultado. Solo tienen un defecto, las plantillas al ser de tela se arrugan mucho.